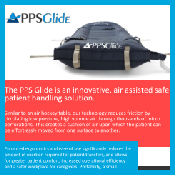 The PPS Glide is an innovative, air assisted safe patient handling solution. 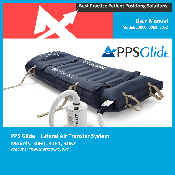 The PPS Glide is the optimal safe patient handling product to meet your patient transfer needs in any patient care venue, especially the ED, OR, ICU, cath lab. 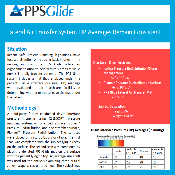 Lateral transfer devices like the PPS Glide have been shown to require significantly less exertion than a standard drawsheet. Caregivers can safely transfer the largest of patients. Enhances caregiver and patient safety alike. 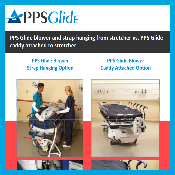 The PPS Glide allows two caregivers to laterally transfer a patient safely while reducing the potential for back injury. 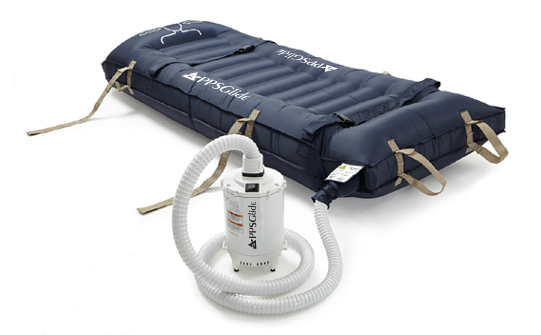 The core of the system is an inflatable mat that lifts and floats the patient on a cushion of air, that with very little effort, caregivers can transfer even very large patients from one surface to another. Two nurses can laterally transfer a patient with the siderails up while maintaining an upright ergonomic posture. 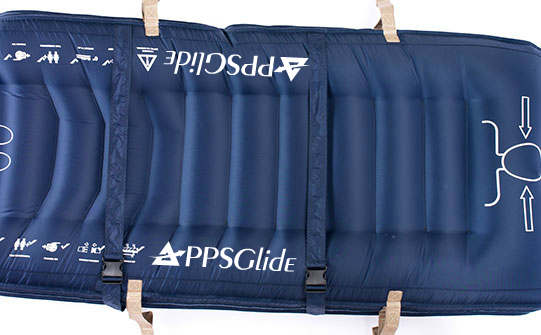 This lightweight unit supports all three PPS Glide transfer mat sizes, for patients up to 1000 lbs. 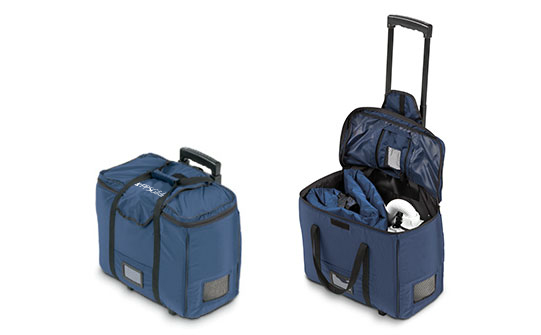 Makes transport and storage of the PPS Glide system simple. 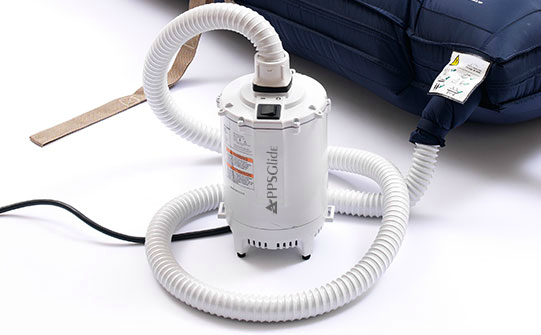 The transfer mat is machine-washable, making cleaning convenient. 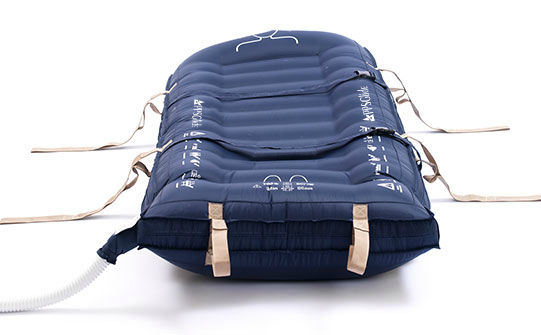 Safety straps and thermal protection help position the patient for enhanced comfort during transfer. Patient Positioning Systems, LLC has recently acquired the Stryker™ Glide portfolio. 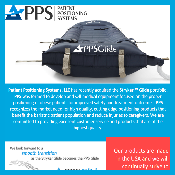 PPS was formed to develop and sell medical equipment focused on the proper positioning of obese patients for improved safety and treatment outcomes. PPS recognizes the market need for high quality, cutting edge positioning products that benefit the bariatric patient population and reduce injuries to caregivers. We are committed to providing excellent customer service and products that are of the highest quality. PPS and Stryker will work to manage a seamless transfer of accounts and products. 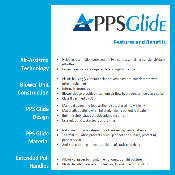 PPS is committed to providing the same high level of service to current Glide customers. strive to meet the needs of the end user. Recent Safe Patient Handling legislations have focused attention on reducing back injuries in the nursing industry. 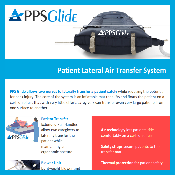 The PPS Glide offers an ergonomic solution to help with this problem while nurses laterally transfer patients. 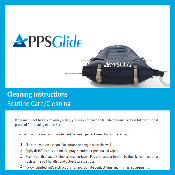 The PPS Glide system includes a mat that is placed under the patient. Tissue interface pressure (TIP) readings were evaluated to aid healthcare facilities in determining whether or not to leave the amt under the patient. 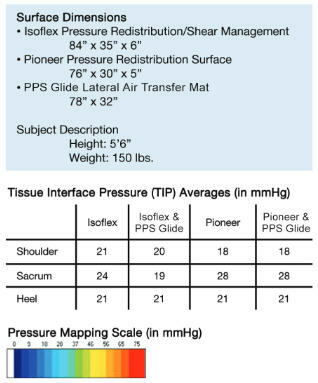 A third-party facility conducted tissue interface pressure mapping using XSENSOR™ pressure mapping system on one bed surface, Isoflex® Pressure Redistribution, and one stretcher surface, Pioneer® Pressure Redistribution. The surfaces were placed on a sturdy laboratory table. The first scan was completed with the subject lying directly on the surface. The second scan was completed by placing a deflated PPS Glide mat on the surface with the patient lying on the top. An average size adult was used for the analysis examining three critical zones: Scapula, sacrum and heel. The subject was dressed in an appropriate size cotton sweat suit and without shoes to ensure optimum contact with the full surface sensor matrix. 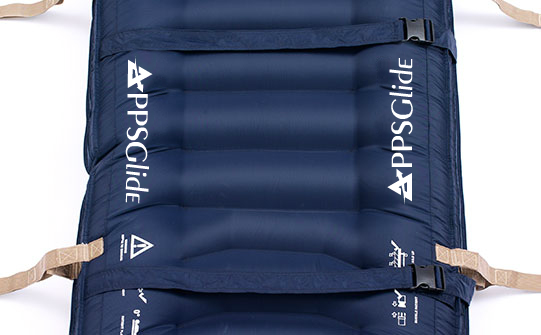 No significant increases in TIP averages were seen when comparing the Isoflex® to the Isoflex® with PPS Glide, or when comparing the Pioneer® stretcher mattress to the Pioneer® with PPS Glide.